The growth and development of Scotland’s rail network has enjoyed a substantial chunk of print columns across the national, regional and trade press over the past few months. 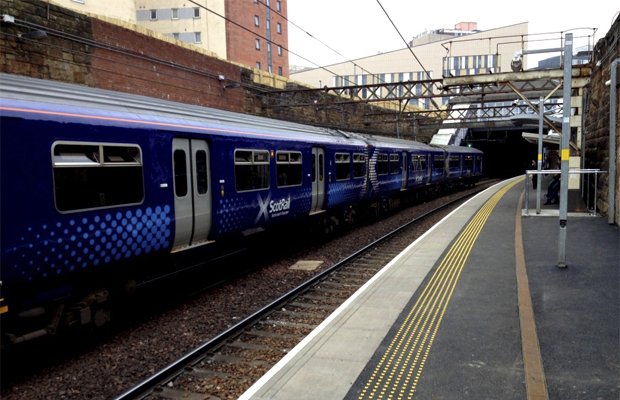 New electric trains will soon arrive as part of the Edinburgh-Glasgow Improvement Programme (EGIP). Borders Railway – the longest section of new railway to be built in Britain for over 100 years – is just months away from opening and a new operator has reinvented the iconic Caledonian Sleeper service. Major hub stations such as Glasgow Queen Street and Edinburgh Waverley have tended to be the focus for investment. But more money is now being spent on the railway itself. Projects like phase two of the Highland Main Line upgrade, which is scheduled to be completed by the end of Control Period 5 (CP5), will see journey times cut between Perth and Inverness. In 2014, Story Contracting was awarded one of four major Network Rail framework contracts for Scotland. For the Carlisle-based company, it was an opportunity to grow the business in a new region after being named Network Rail’s Supplier of the Year in 2014. In February, John MacArthur joined Story Contracting’s rail division as head of region for Scotland, having spent the past 18 years with Balfour Beatty. ‘I think for the other contractors in Scotland initially it came as a bit of a surprise,’ said John, reflecting on Story’s framework win. John, who has 26 years of experience within the civil engineering and railway sector, was approached by Story to head up the framework. This would involve not only ensuring the successful delivery of projects but establishing a whole new team in Scotland. ‘The main thing, which has been a pleasant surprise coming on board with Story, is the way they go about their business,’ said John. ‘It’s all about collaborative working and understanding the client’s requirements in terms of the drivers for their business. The framework is focussed around work at stations and depots. So far Story has completed a full platform refurbishment at High Street station in Glasgow and is currently at Aberdeen station demolishing a redundant canopy and carrying out a glazing replacement scheme. Other projects in the design phase include an extension scheme at North Berwick station, a goods access feasibility study for Edinburgh Waverley and ‘Access For All’ schemes at Elgin and Blairhill stations. John, who is originally from the east coast and now lives just outside of Glasgow with his wife and two sons, said the framework had allowed him to become reacquainted with Scotland, having schemes stretching from Inverness in the north to Stranraer in the south. ‘I think we’re building a really strong team up in Scotland,’ said John. Currently, Story’s rail office in Scotland has a core team of around a dozen people. With the framework in place, John, who studied civil engineering at Heriot-Watt University in Edinburgh, said there will be opportunities to grow this further and pluck local graduate talent straight from university. ‘I was told I had the opportunity to bring in whoever I needed to deliver the framework, with a view to recruiting a team that have the right specialised skills and behaviours to deliver on programme and budget,’ said John. ‘It’s a bit of a finite resource pool,’ said John, talking about the specific rail skills shortage Scotland is experiencing. ‘At the moment, we’ve got the foundations of a good team with the right key positions filled but to future-proof the business going ahead, we need to start thinking about bringing graduates through university and getting them trained up such that as people move on and develop their careers there’s other people coming through to fill these roles. In the future John hopes to move into new areas. In particular he is looking to further develop Story’s track capability by working in partnership with other contractors – something John is keen to promote. ‘It’s not just people with the right experience, it’s people with the right behaviours,’ said John.